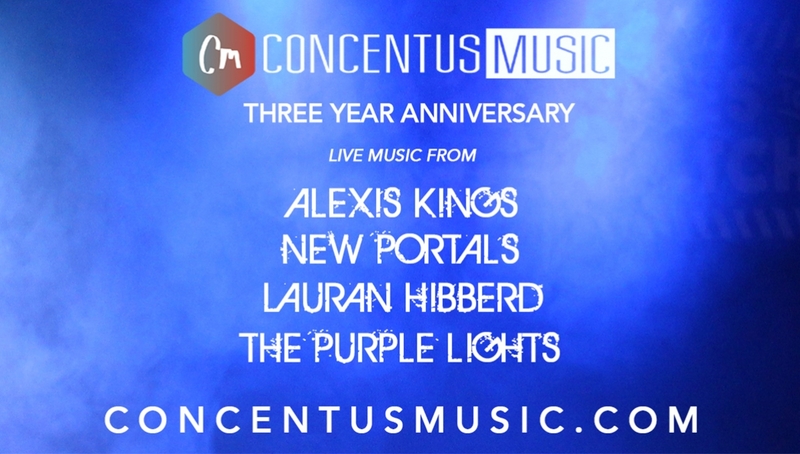 Concentus Music celebrates with a night of live music from emerging artists Alexis Kings, Lauran Hibberd, New Portals and The Purple Lights to celebrate their newly launched music magazine, right where it all began at the Roundhouse back in March 19th 2015! On their return from touring Asia, Alexis Kings headline, following the release of their new single which went on to reach #8 in the Spotify Viral chart. Defined as classic dark rock and roll with an R&B undertone, with influences ranging from The Rolling Stones and Oasis, to the greats of Hip Hop. Lauran Hibberd has had a successful year of releases and a stream of live dates (including a sell out headline show, Clean Cut Kid/ Sarah Close support and performing on Bestival main stage). Electrifying groove rock duo and Roundhouse Resident Artists The Purple Lights fuse authentic roots and reggae beats into psychedelic gritty grooves. Concentus Music’s mission is to showcase emerging artists in London’s greatest independent venues, including past sold out nights at Roundhouse, Camden Assembly, Barfly, Notting Hill Arts Club, The Social, and more, as well as launching in New York City in 2017.